I was recently doing some work at the Science Museum of Virginia. Tucked away in a corner, near some side doors that we were bringing exhibits in, was a little sign with an attached shelf. On the shelf was a zinc coated nut. 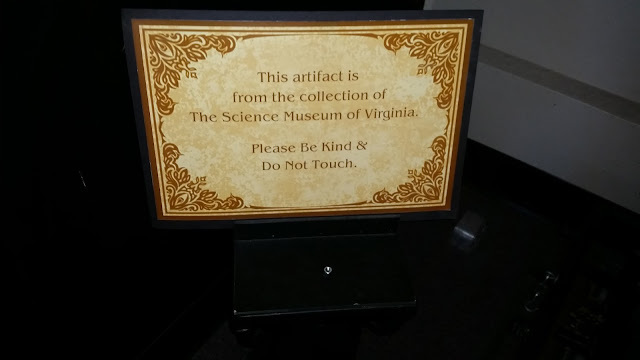 The sign said, "This artifact is from the collection of The Science Museum of Virginia. Please Be Kind & Do Not Touch." I thought this was a very funny joke. The museum not taking itself very seriously. Very nice. 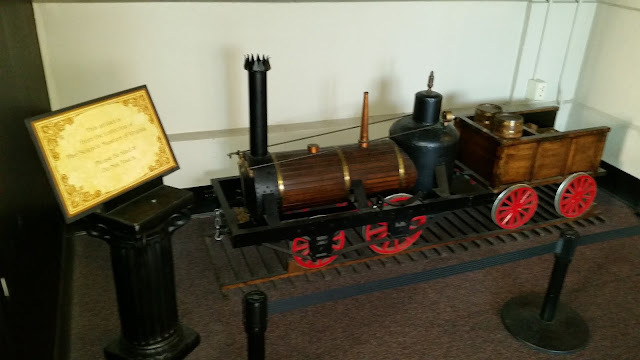 Then a few days later, I realized that this sign was next to a very obvious display of a model train and that the Do Not Touch was for the train and that the nut was just something that someone picked up off of the floor and put on the shelf that was attached to the sign. Recognizing ones weajnesses are on the path to becoming holy, Juan.